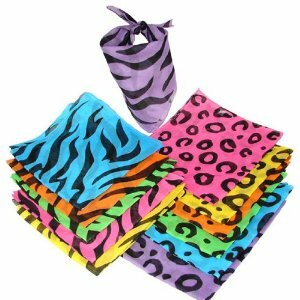 Appease the little animals at your jungle, zoo, or safari party with these neon animal print bandanna favors. Comes assorted in tiger print and leopard print, in green, pink, purple, orange, yellow, and blue. 12 per package.